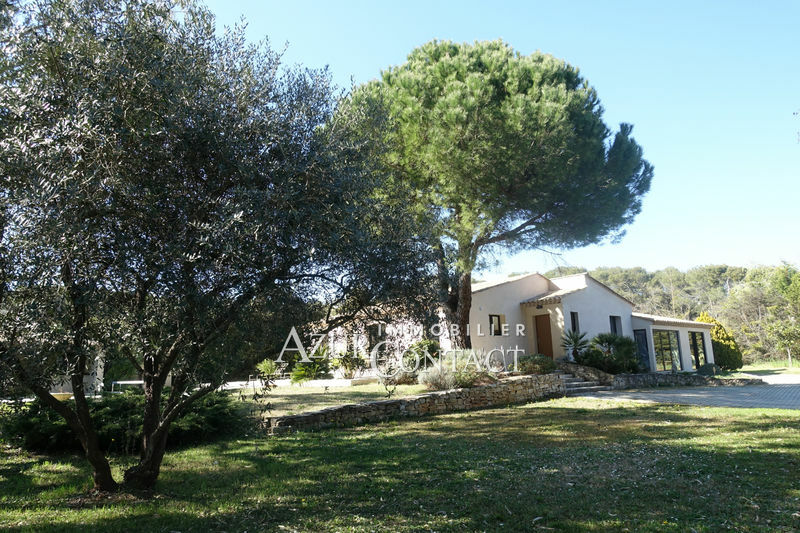 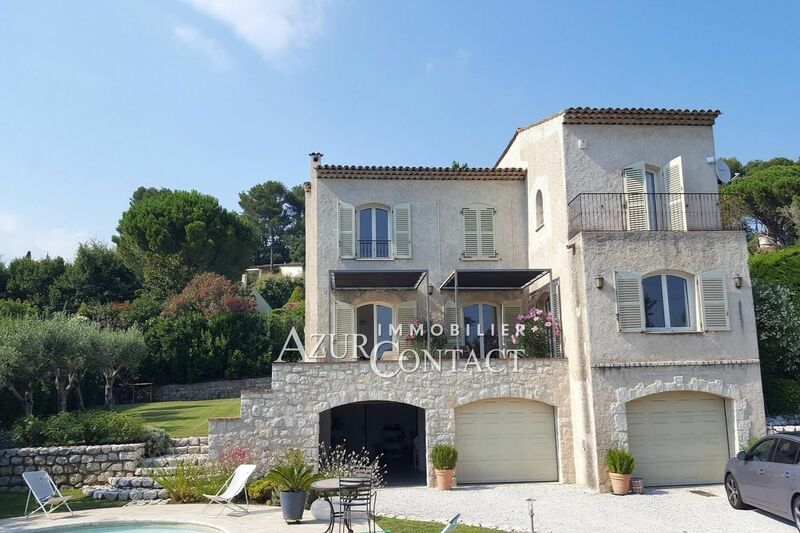 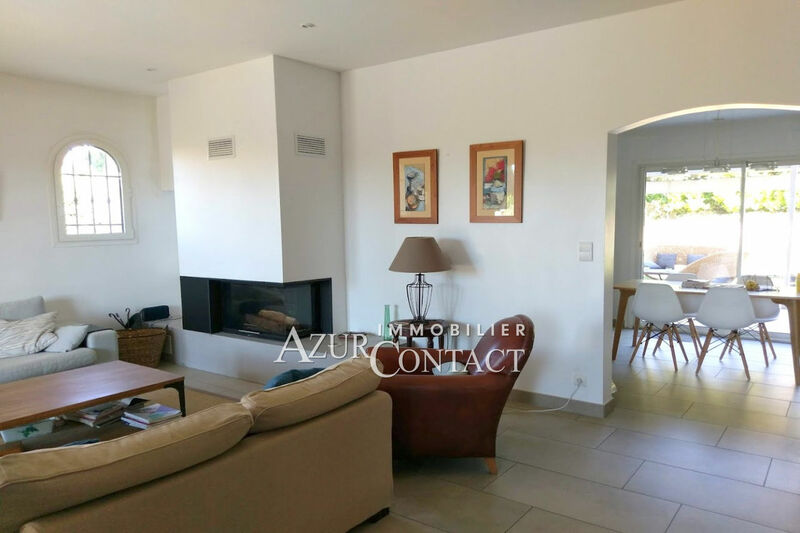 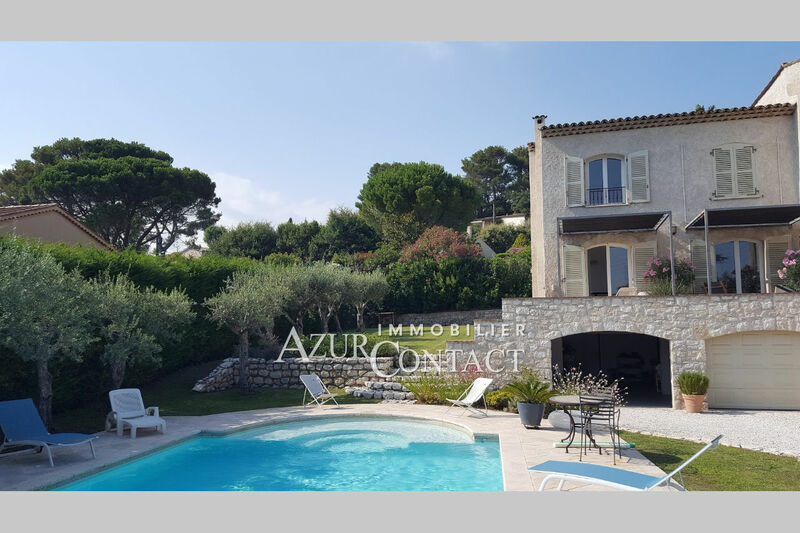 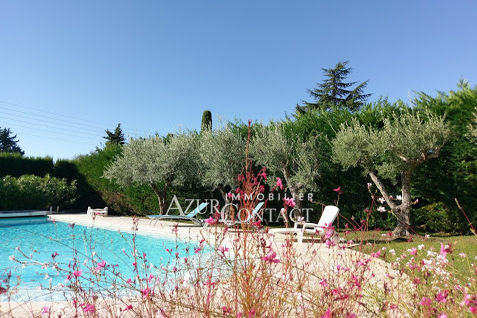 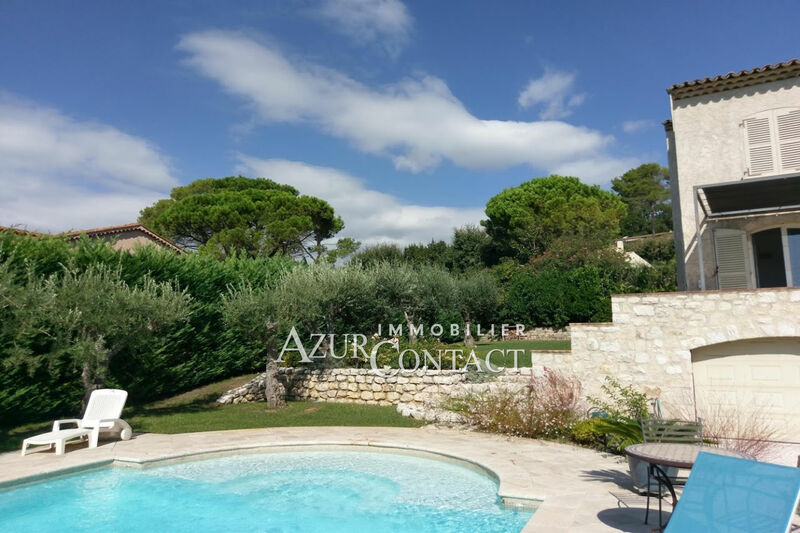 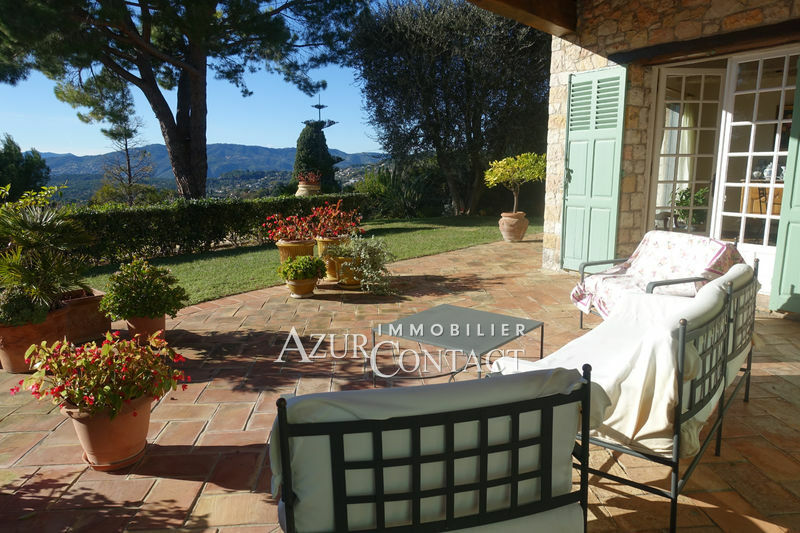 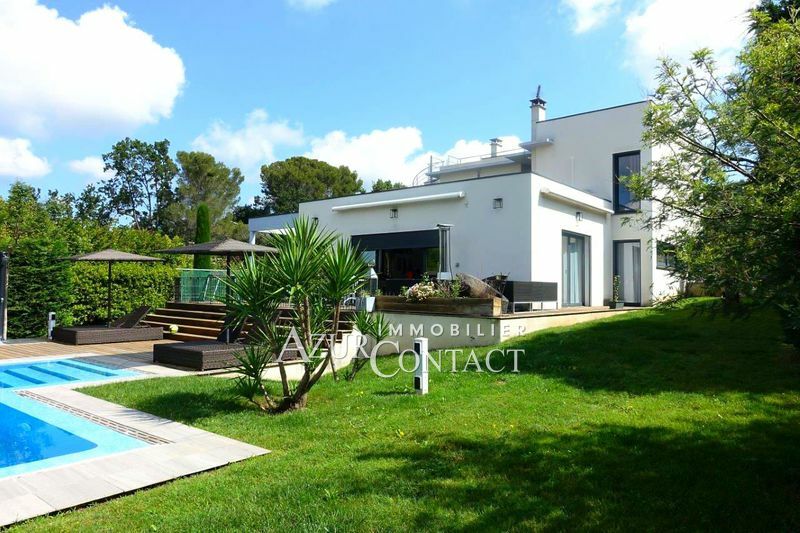 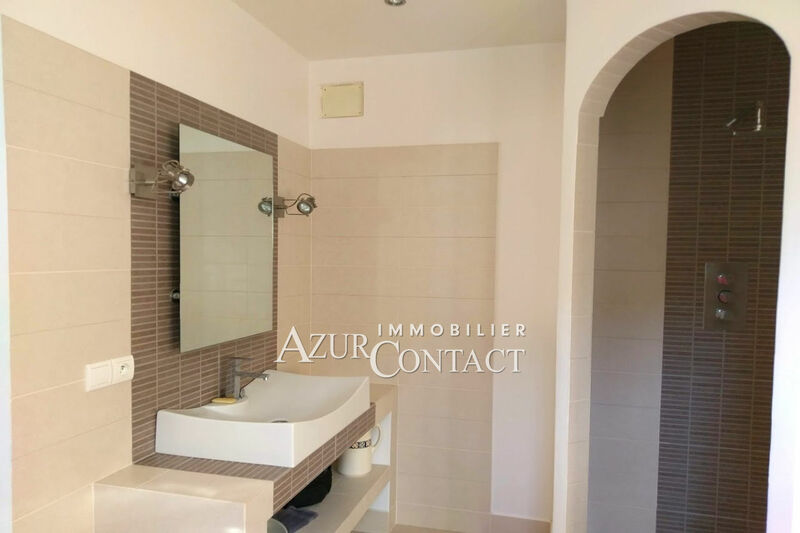 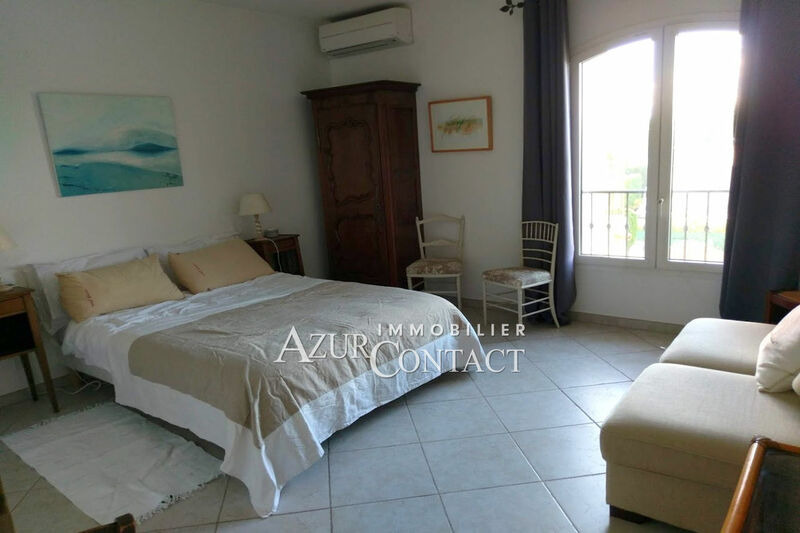 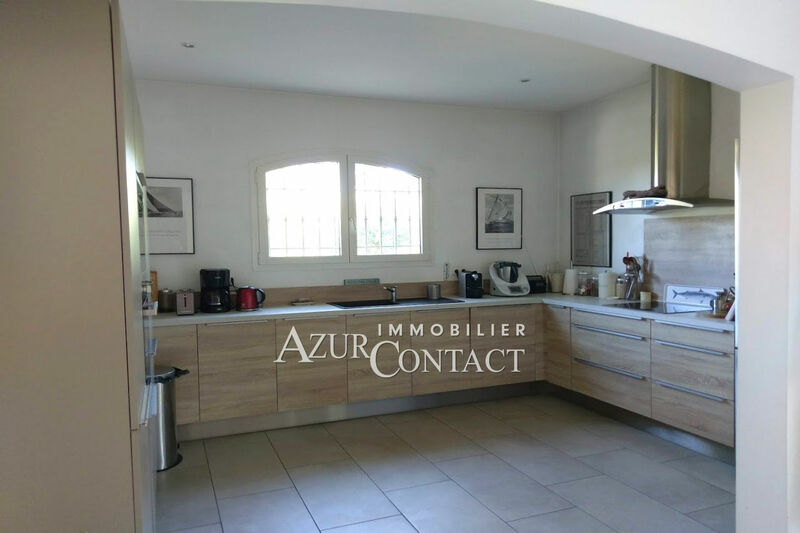 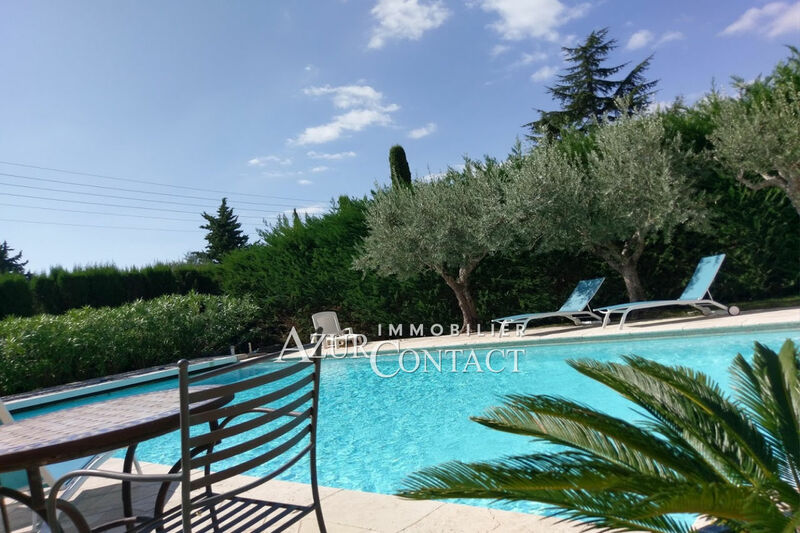 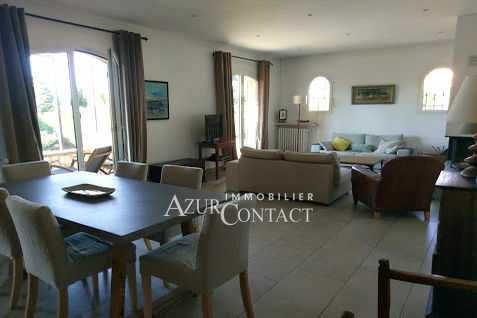 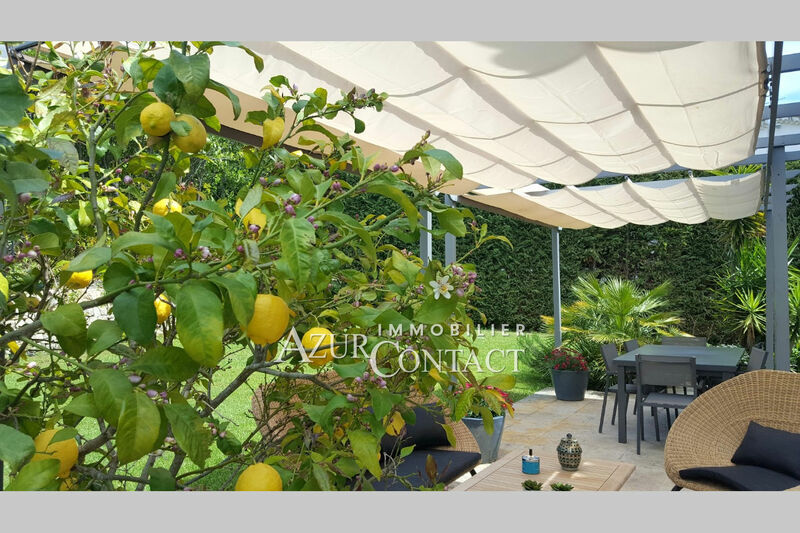 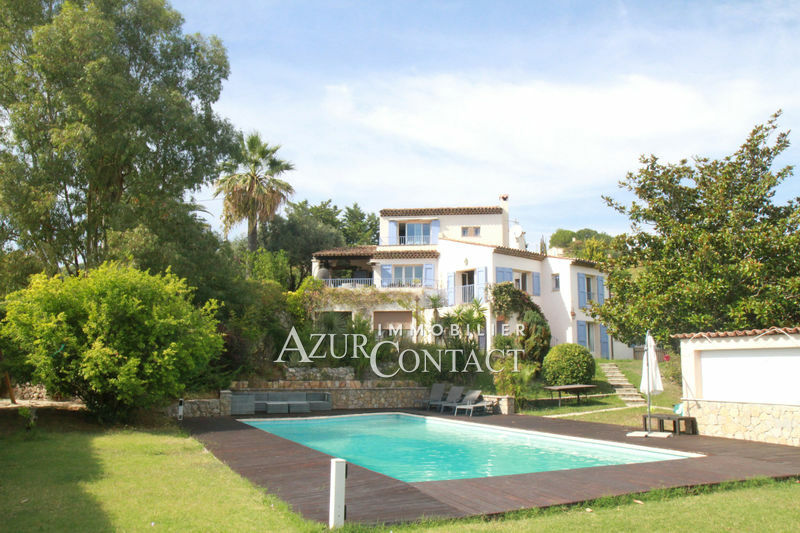 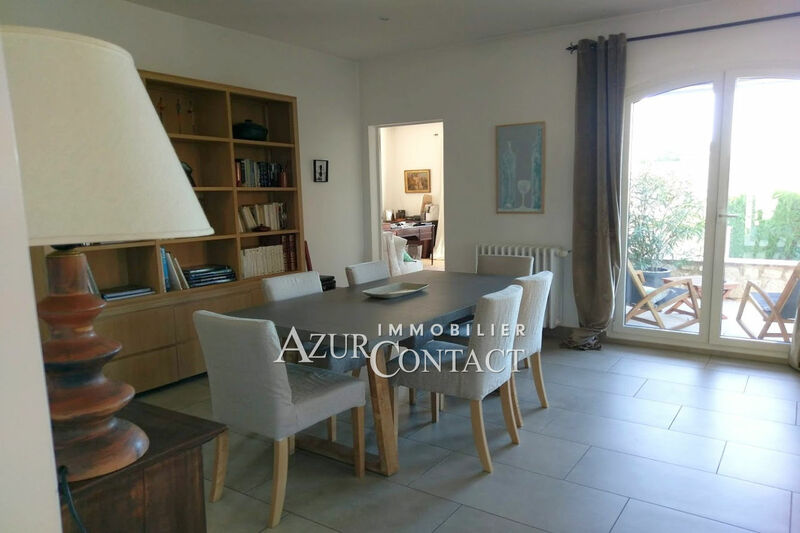 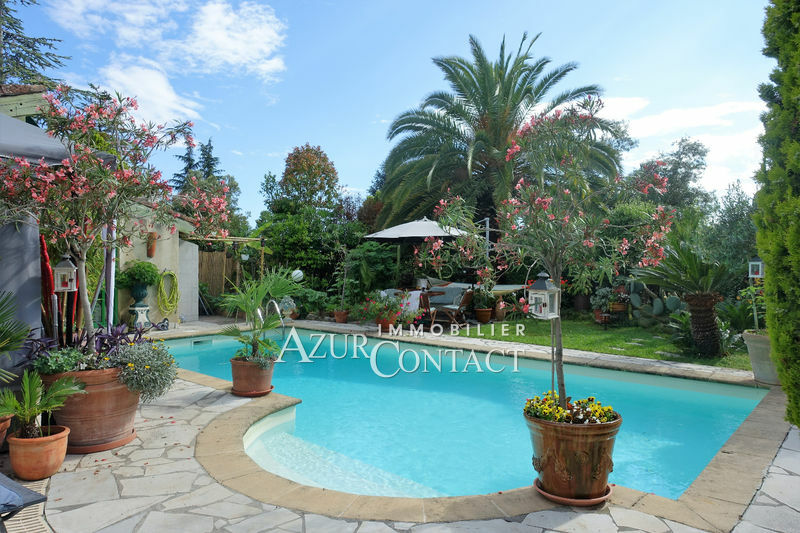 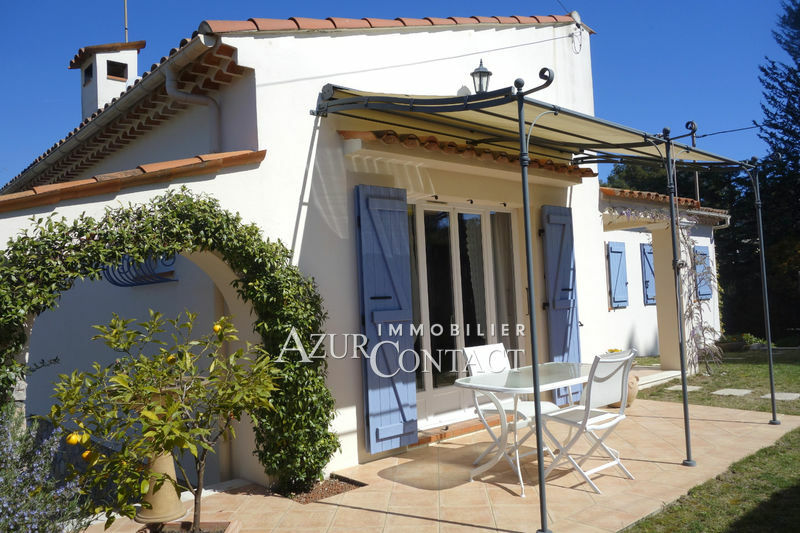 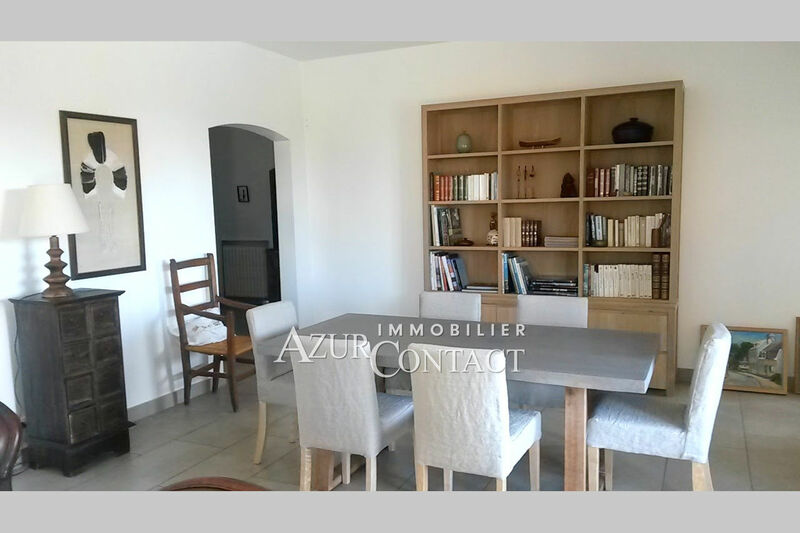 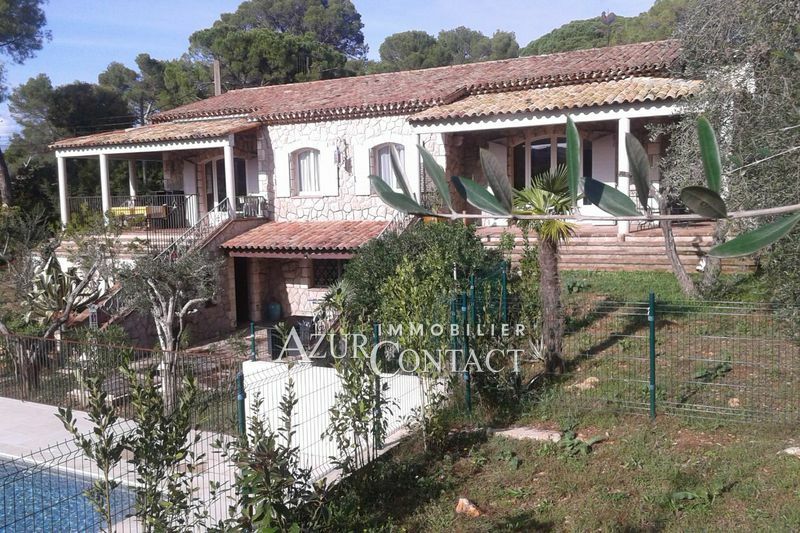 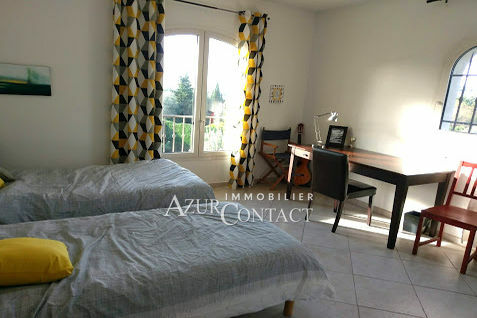 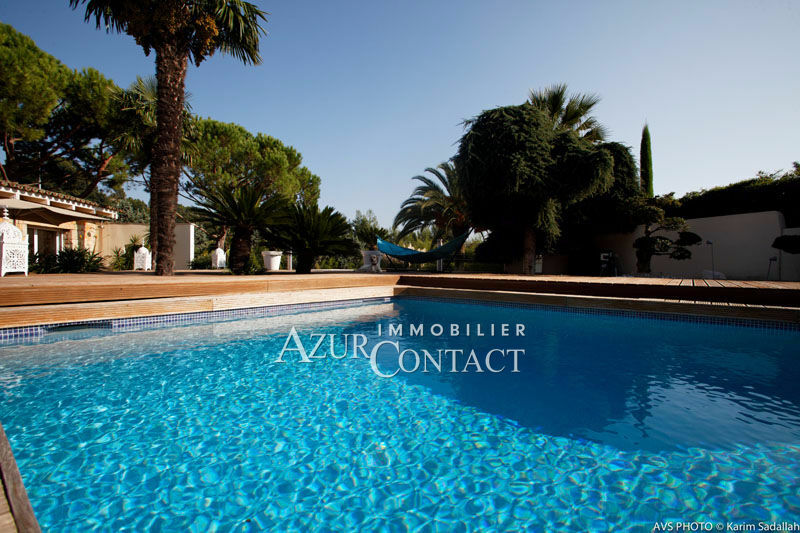 Our agency Azur Contact Real Estate offers in CO-EXCLUSIVITY: In the heart of the residential area of ​​St Basile, between the village of Mougins and golf. 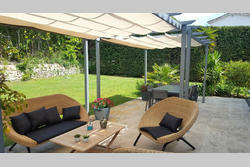 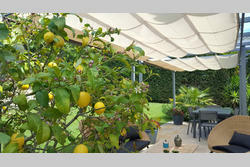 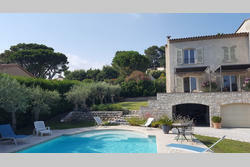 In a secure domain, elegant villa with generous volumes on a beautiful landscaped garden with salt heated pool 12 x 5. 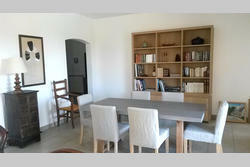 On the ground floor, huge basement of about 100 m² with 3 car garage, laundry, boiler room and wine cellar . On the ground floor, entrance hall, guest toilet, living room with fireplace facing south open terrace with open views, through with kitchen and dining room overlooking garden. 1 bedroom with shower room and wc also overlooking the terrace to the south. 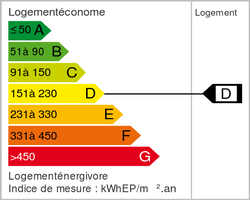 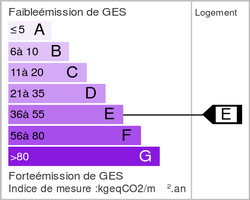 On the floor, big landing of access with the parental suite, dressing and 1 bathroom, toilet. 3 bedrooms 2 shower rooms and wc.